It’s interesting that country dwellers are often characterised as out of touch or behind the times when it comes to cutting edge technology. However, the reality is very different. Few people have quite as much to gain from mobile communications and the internet than those living in remote rural locations. The web and smart phone technology has brought a phenomenal change in the way we interact with one another, changing how we socialise, do business and exchange information. Applications include harnessing technology to improve animal health and welfare by using a bolus, (which sits in the animal’s stomach), or a collar. Both systems transmit vital data regarding cattle health to smartphone or tablets, so livestock farmers can monitor health or calving remotely. 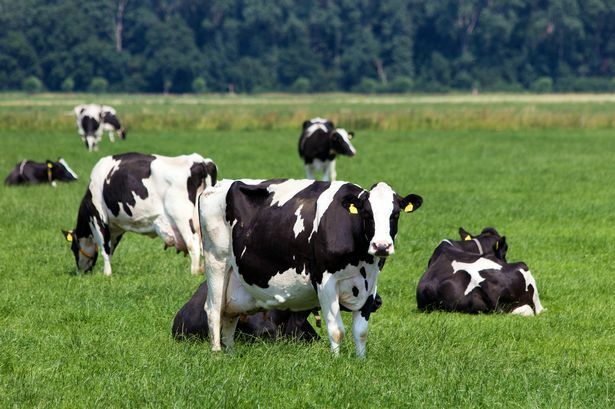 For instance, a growing number of Mole Valley Farmers customers are using bolus technology to reduce their calving index, detect illness at an earlier stage and thereby help reduce the need to use antibiotics. Mole Valley Farmers invests in research and development year on year, to ensure farmers have the technology to allow them to obtain maximum return on investment in every aspect of their business. With pressure on everyone’s time, many customers use the various on line facilities available at www.molevalleyfarmers.com for an impressive array of things, including checking the weather including local soil temperatures and moisture levels for the next seven days, or ordering prescription-only animal medicines. The agricultural community, smallholders, rural dwellers and equestrian enthusiasts can also shop online for an incredible range of products, delivered straight to their farm or door. This month, Mole Valley Farmers has launched a new website, offering more products from fashionable clothing such as Barbour, Joules, Toggi and Aigle, through to dedicated farm equipment such as livestock handling equipment, animal feed and even veterinary medicines. All just a click away.